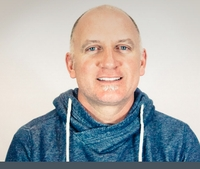 Sean Baker​ SVP, Client Partnerships Sean oversees the Client Partnerships group at IMM. His deeply rooted expertise in strategy and execution make him the perfect guide for the department as trusted business partners to each of ​IMM's ​ clients. Sean brings with him over 15 years of experience in a range of verticals from CPG to Airline & Hospitality to Consumer Finance including the likes of: Gatorade, Southwest Airlines, Hyatt Hotels, Nationwide, P&G, and Nissan. ​ A former attorney who specialized​ in civil practice and government law, Sean most recently served as EVP for Zimmerman Advertising. It can be surprising by how many brands have no idea about their LTV -- Customer Lifetime Value -- much less an understanding of the vast benefits of using the metric to determine their LTV. Customers are dipping in and out of contact with your brand as they move from platform to platform. So, who the hell has time for big ideas? Digital is fragmenting not only the types of channels and content available - such as YouTube videos, Twitter's 140-character tweets and Snapchat's vanishing stories - but also to whom and how quickly we can communicate, and with what degree of relevance. Brand messages and how they are delivered must evolve if we have any chance at getting our customers' distributed share of attention.